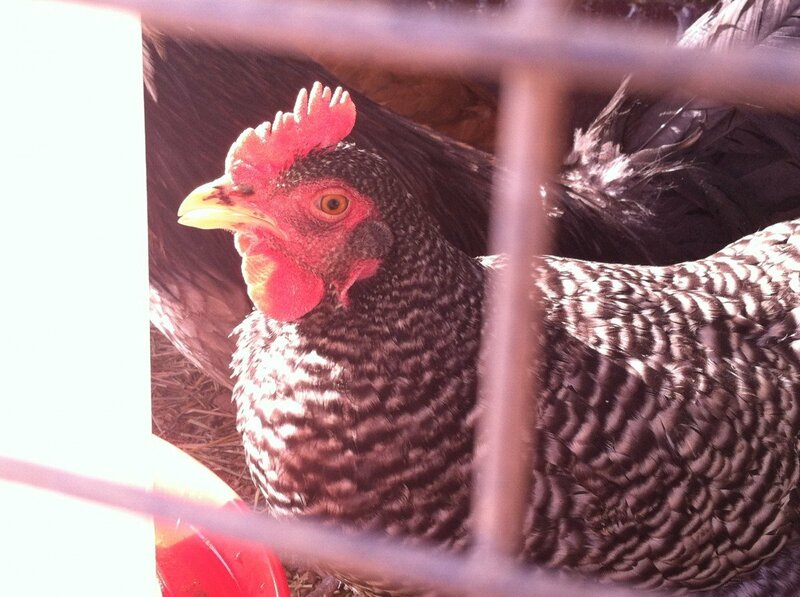 …you can learn how to maintain a healthy flock with the use of herbs! Chickens eat green plants — and lots of them. They also eat all manner of insects — and lots of them. Grass is a favorite, and preferred if you are hoping to harvest pastured, all-natural eggs. We know that free-range chickens are happiest and healthiest when allowed to roam about during the day — confinement is primarily for our own convenience, but can also be used to keep predators away. All in all, the how and why to keeping backyard chickens is easily adaptable and based on how much land and space you have. When living in an urban area — limited space was my primary issue. My girls had such a small patch of grass and would clear it in a couple days if I let them! 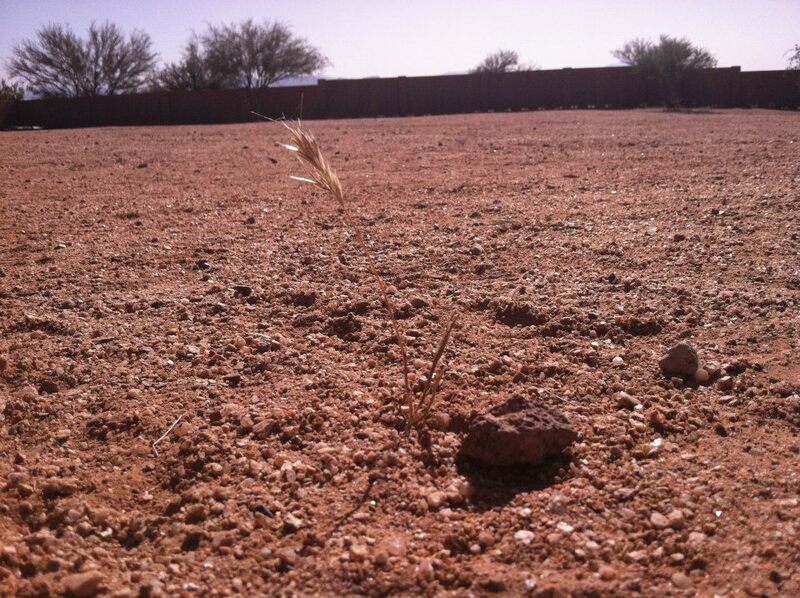 Now living in the rural, wide-open desert, space isn’t an issue for us anymore…green plant material is. As you can see from the picture below, hardly anything grows naturally. This motivated me to research herbs as a solution. Something that would satisfy the needs of chickens in a variety of situations and provide the same outcome for all…excellent health and high-quality eggs. 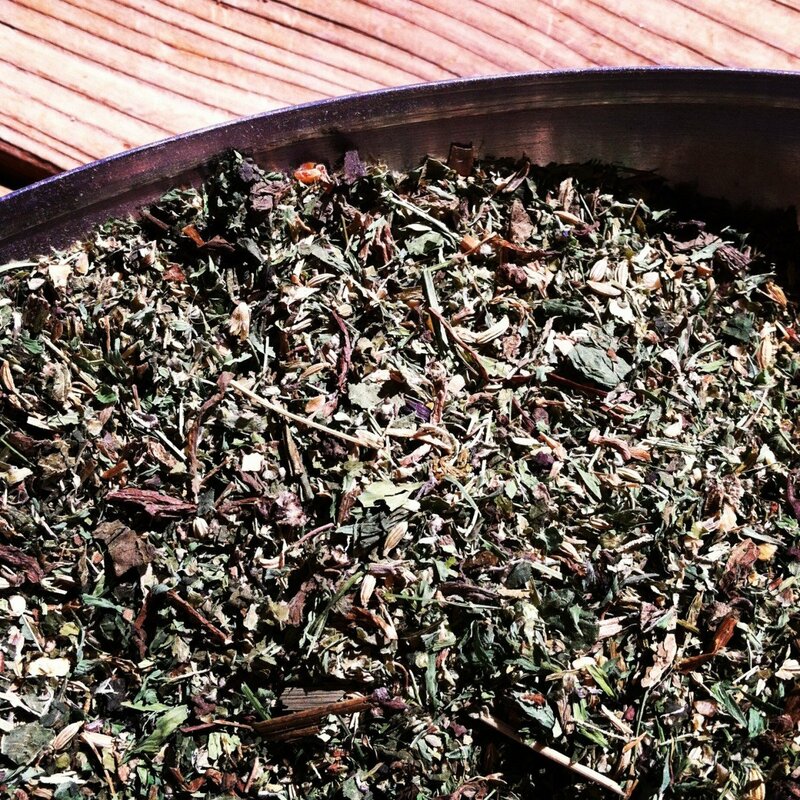 With research regarding herbs safe for chickens, combined with my knowledge of the nutritive class of herbs, I formulated a recipe for an herbal feed supplement…a supplement that could be mixed in with their usually organic feed. I wanted to give them vitamin and mineral-rich plant material that would build a strong immune system — one capable of warding off mites, lice, and worms yet dually act as a natural egg-laying stimulant. A hen’s nutritional value is vital for the creation of healthy eggs. Hens — by their very developmental nature — will transition from using their energies to support their bodies to supporting egg production. So as you can imagine, during her years of focusing on egg production, the hen is more vulnerable to disease and poor health. Especially in situations where she is confined to a suitable (yet often smaller than ideal) space…and/or one with little green plant material. It just makes sense to provide a general supplement for the feed of laying hens. 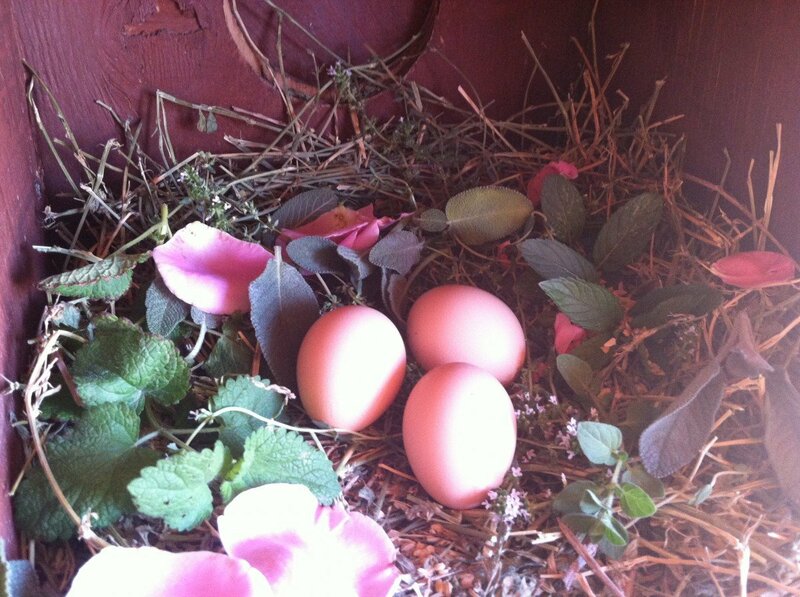 Note: Click here to learn how to use fresh herbs to make an herbal nesting box (as pictured below) for your hens. Of course we think of calcium for the egg’s shell…but the egg itself also needs a bounty of nutrients — mostly because they will be used to nourish our family, friends, and loved ones. …but do you know that herbs are a perfect choice for supplying all the necessary vitamins and minerals a chicken needs!?! Yes, even calcium and protein! There are a multitude of plants and flowers that fit the bill (they are definitely worth the research if you are further interested). And the good news is, many can be foraged for, grown at home, and/or wild-crafted in most parts of the world. Garlic — Excellent for chicken health as it commonly acts as an antibacterial and antiviral agent. Not only does it work hard to prevent infection but it is a well known egg-laying stimulant. I like to keep a fresh clove of crushed garlic in my chickens’ water along with a splash of apple cider vinegar. Offer raw garlic to your chooks year ’round. Nettles — Nettles are a green food powerhouse! Full of calcium for egg shell development, protein for plant-based energy, manganese, phosphorus, and potassium for overall well-being. Fennel seed — I include them in my recipe as an laying stimulant. Marjoram — Another brilliant egg-laying stimulant. Chickweed — Another herb that grows like a weed in many places and a great green food tonic for chickens. Other nutritive herbs, flowers, and laying stimulants include: marigolds, nasturtiums, parsley, mint, sage, rose petals, tarragon, thyme, lemon balm, oregano, etc. *All herbs should be dried. Please use organically-grown or wild-crafted plant materials whenever possible. **Parts are measured by volume not weight. Measure the parts of each of the herbs (by volume not weight) listed and mix in a large bowl until well combined. To use: Mix 4-5 cups of supplement to every 10-12 pounds of feed or 10 cups of supplement to a 25 pound bag of feed. –Mountain Rose Herbs…they have everything you’ll need for this supplement! It’s your one-stop-shop! 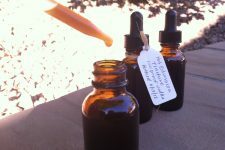 -Mountain Rose Herbs also carries Horizon Herbs seeds if you are interested in growing your own herbal plants and flowers! What about you? How are you using herbs for the health of your chickens? How do you ensure your flock gets the proper amount of green food? 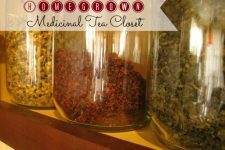 I’ve been adding herbs to my chickens nesting boxes (for the antibacterial and anti-parasitic properties as well as to calm laying hens for years, and also add fresh herbs to their daily diet. I prefer using fresh, but do dry some for winter use. 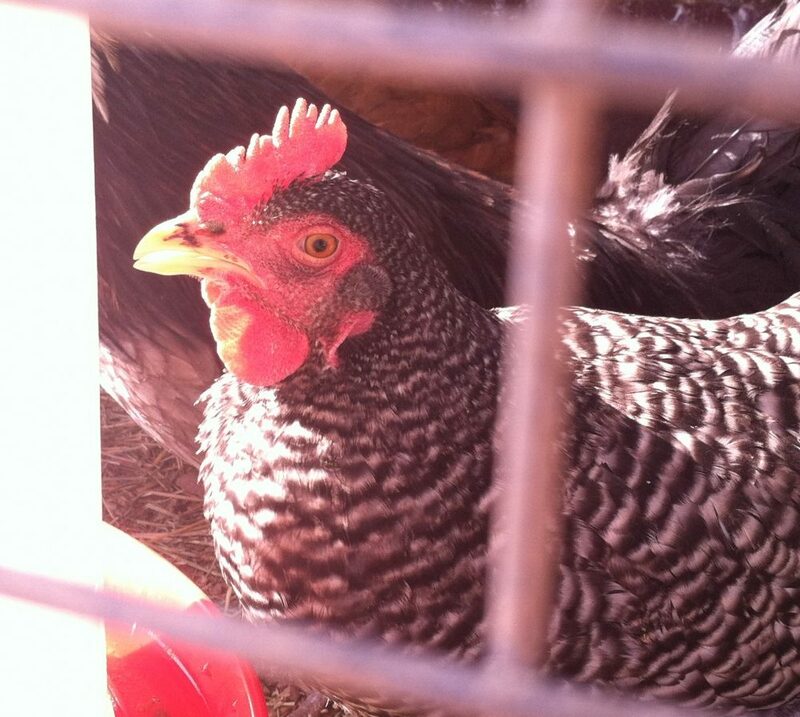 Limiting free ranging or confining a flock is much safer for them since predators, toxins etc. exist in every setting, rural, urban, suburban, I pick weeds for our hens every day to supplement their diet as well. That way they are safe, happy and healthy. Oh my goodness Lisa! Yes! As you see from the picture I took your advice and started making fresh herb nesting boxes for my girls! They LOVE them. I have to replenish about 3 times a week because they all get eaten…but well worth the effort:) Thank you for sharing your wisdom and experiences with us! Excellent! They sure do love them and its an inexpensive way to provide such great health benefits! As I was reading this fascinating post, I was imagining planting a special little herb garden just for my girls. But then I saw your instruction that all herbs need to be dried… Is it a possibility to just plant these things and allow them to graze and take what they want, or is that not as helpful or even harmful? The reason for the “dried herb” specification for this recipe is that I like to mix dried herbs right in with there feed. I have a 12 pound feeder. Dried herbs mix easier with the feed and I don’t have to worry about the moisture from the fresh herbs molding or anything why in the large feeder. Thanks for the article! I’m glad to hear that other chickens eat grass. I don’t know why I thought it was odd since they do love their leafy greens. I was wondering though, does feeding your chickens all those herbs make the eggs taste different? Mine roam free in my fenced in backyard and I’ve been giving them a little feed, but mostly they just eat whatever they find and I give them fresh fruit and veggie kitchen scraps. We had about 15 hard plastic boxes that I filled 3/4 of the way with dirt & added drainage holes & grass seeds. I covered the top with chicken wire & watered…The grass grows through the chicken wire & the chickens keep pecking the tops of the grass without pulling or scratching up the roots…Thx for the article, I’ll try the same thing with nettles & dandelions too. Good day! I could have sworn I’ve visited this web site before but after browsing through a few of the articles I realized it’s new to me. don’t want to be doing this with your strength, you want to help the channel grow, just tell your friends about it! Do you offer the chickens any other supplements in a addition to this? Or does it do well enough to replace all their supplement needs? We currently feed our birds a fresh ground grain feed from a local farmer that includes his alfalfa in it, offer our birds oyster shell and kelp freely, as well as kitchen scraps and garlic in their water. Weekly, they get homemade yogurt or water kefir for probiotics. As winter sets in though, I’ve been researching what else they could need. The farmer recommended azomite, but I’d love to be able to just mix up an herbal supernatural rather than doing so many different separate things. I would like to know, what is the best treatment for chickens with cold/ flu/ runny nose or cough? Please some one help me, I have my three chickens with runny nose/ cold and I just don’t know what to give them, I have tried giving them garlic for a week now but no good results. I am afraid that it might get serious. Please some one help me. do you add a vitamin mix w biotin? what would you recommend? i add turmeric. Does it give the eggs a herbal flavor ? we try to give our chickens plenty of room to roam and lots of fresh greens. Our bokchoy is starting to flower in the garden so we pull up several plants a day and give it to the chickens. They will strip a stalk of bok choy in no time, they love the leaves but not the stalks. Hi there, I love this blend you have made up.. I am new to chickens. I was wondering at what age can they start to have this blend. our chicks will be here in few weeks and I want to make sure I have everything here when they come? another ? I had is you mentioned minced garlic, I am assuming that this is dried minced garlic right? and can I also just toss an entire garlic in their coop for them to peck at? or is to much bad?